If the world was perfect, it wouldn’t be…. In 1978, I was at Coors Northeast (The Orbit Corp.) in San Antonio. As VP of Sales, I oversaw the development of the start-up distributorship which was awarded to Charles Duke, Jr., a former astronaut and Air Force General. We opened in 1975 with great success, and by 1978, Charlie decided that being in the beer business really was not the challenge he was looking for, so he sold it to the Azar family in El Paso. The Azar’s had been Coors distributors since the late 1940s and they were very successful holding a market share in the high 50%+. Prior to the transfer of ownership, I spent some time in El Paso, learning how the Azar’s operation. Part of my learning’s included riding routes. In those days, Coors’ standards were focused on product rotation and clean p-o-s. During one of these visits, we went to a long-time Coors account close to the Mexican border to retrieve a Coors neon. The neon had been in the same place since the late 40s and when I took it down, you could see the various colors of paint that had been applied to the walls over the years. The owner did not want the neon taken down, but understood that part of selling the product and keeping the neon, was to allow us to maintain Coors’ cleaning standards. We cleaned the neon and returned it to the owner’s wall. Just recently MillerCoors announced new standards which will be tested between the “chosen seven,” the group which represents 17% of MC’s overall volume. Some of these new standards include: Distributor Sales Standards, Channel Blueprints, Display Reporting and Sales Improvement Process. All of these standards are reported to help the distributors compete effectively against ABI. So the question is how do the distributors view these updated standards? A manager of one of the “chosen seven” commented that he believed these standards were designed to off-set the failure of MC to effectively market their products by pushing performance down to the wholesaler level. He cited a recent program involving a seasonal product of MC. The distributor executed against the plan and achieved the corporate goals, but in this case, as in others, there was no pull-through at the retail. The result was that MC had to destroy several thousand cases of product. The distributor had to incur the costs of picking up the beer and replacing the same. In other words, the manager is saying that standards are now designed to have the distributors “push” product, but with little to no “pull” from the brewery and little to no thought of establishing realistic goals. Standards which were once simple guidelines to help distributors understand where and how to place products in both on and off premise accounts, have now evolved into complicated and extensive performance measures, which are included into many franchise agreements. At one time the early standards were helpful for distributors, but now they can be used against the distributor and as a shield for breweries to use to cover their own marketing failures. When an irresistible force meets an immovable object…. During the late 1980s, I was in Distributor Development for Coors Brewing Co. The department had been charged with overseeing a number of special projects. In addition to owning and managing Coors operations through Ford Street Management, we also helped our wholesalers on special issues when requested by the wholesaler. On the rare occasion that I was in Golden, I was asked to do other projects, one of which was to assist with the expansion of Coors to new states. As one can imagine, the applications for any given market could have numbered into the hundreds. These applications came in all forms and styles, even though the brewery sent a template for the wholesaler to follow. Some applications came back inches thick and leather-bound. Some applications were simple and easy to follow. Regardless, I was amazed that all of the applications were sent in with the understanding of the sizable investment the organization would have to make. 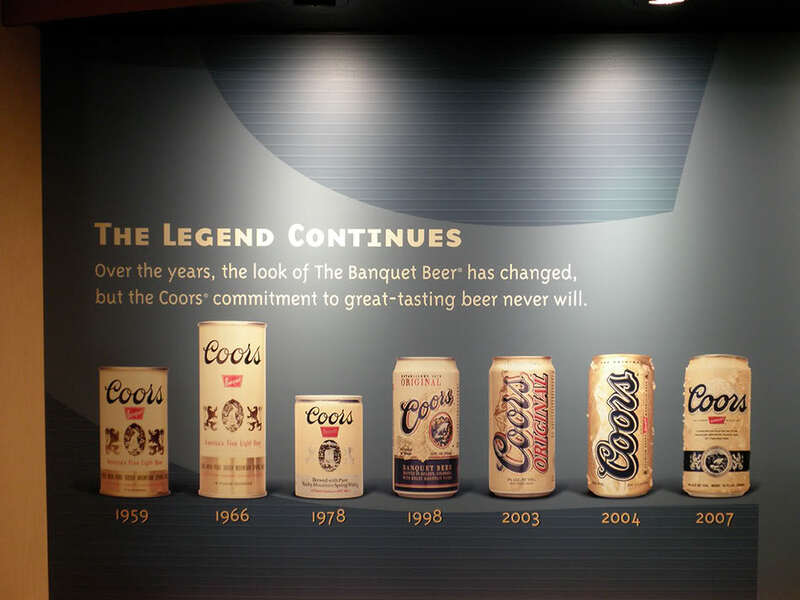 Early in the expansion phase, these were stand-alone Coors operations, meaning the winning group would have to buy land, build a warehouse, purchase equipment and trucks, hire and train staff, etc. Even in the 1970s, the investment was in the hundreds of thousands of dollars with no guarantee of success. In fact, of all the South Texas appointees from the mid-seventies, I can only think of one original owner who is still in business. In many markets, Coors only achieved single digit share, sometimes only a 2%-3% share. As the brewery expanded east, more established wholesalers were awarded the brand. That still meant a sizable investment in more trucks, refrigeration, people, inventory, etc. Again, with no guarantee of any success, wholesalers did this to enhance their operations and build for the future. So the question now is would those potential groups and distributors still apply for a Coors appointment if Coors was charging for distribution rights? As Yuengling heads west, what would happen if they began charging for their rights to distribute? Given Yuengling’s great success in Ohio, one might have a new stand-alone Yuengling operation, not unlike the old Coors model. In the recent legislative session in Texas, while there were many new laws passed to support the growing craft industry, one law not passed was for these new crafts to charge distribution rights for their products. Recently, when visiting with a successful craft brewery, the brewery indicated that they soon might be charging for their distribution rights. They were looking at a per case rate, but also offering the wholesaler a much smaller marketing per case commitment along with better margins. Would wholesalers focus more on products they paid for then those for which they did not have to pay? If they had skin in the game would they be more inclined to keep those products then sell them or trade them? Or will wholesalers attack their state legislatures and get a law passed that prohibits breweries from charging for the brand? If the later happened, would crafts create a co-op enabling them to get together and start their own operations? Breweries are now being required by large chains to more frequently come to the table not only to get ad and display activity, but even for distribution rights. Should the wholesaler help with that or would that be covered in the original costs? Either way, when charging for distribution rights in states that have strong franchise laws, this could produce an irresistible force meeting an immovable object! With this post, we celebrate the first anniversary of BeerBusinessUnplugged, so I thought I would take the opportunity to comment on just how this endeavor has gone over the past year. Having just entered into my 45th year in the beer industry, I originally wanted to comment on topics which I believed the industry was not properly handling. I had no clue as to what the response would be to these editorials. To my surprise, the feedback has been very supportive and encouraging! Due to the positive responses, and the fact that I truly enjoy writing, I continued and the responses kept coming. And, all this from a blog that has a finite interest base… the beer industry. When looking at the editorials that generated the highest number of comments, the results are not surprising. Topics such as pricing, franchise laws, and history (especially about Schlitz) generated a high number of responses. The blogs that created the highest number of reactions, however, were those that dealt with the displaced beer professionals’ attempt to find any type of meaningful work. That is truly sad! As we begin our journey into the second year of BeerBusinessUnplugged, I felt it time to post two interesting findings. 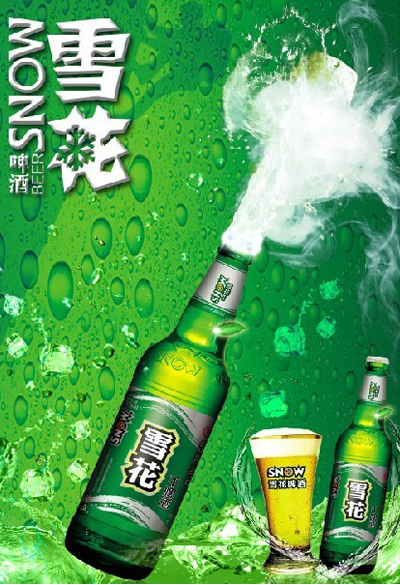 The following list, deals with the 10 largest selling beers in the world. Note that three of the top four beers are from China! It is no wonder that all the big boys want to establish brands in that country. Looking into their volume puts things into perspective. In the chart below, you see the dramatic growth of breweries, especially since 1990. In fact, the trend will continue as more and more states pass laws that are friendly to the craft industry. Annually, I will reproduce and update these two industry reports. We can see how the industry is changing, especially with the increase in number of breweries. If anyone wants to guess how many there will be next year, hit me back and l will make note. As all of you know, this industry lends itself to no shortage of topics on which to blog, however, feel free to comment on various industry issues that you find important. I welcome the challenge. Finally, I wish to thank you all for your comments and support. I have truly enjoyed reading your opinions and comments. Until next week, Happy Anniversary! Some years ago, as Glazer’s stepped up its aggressive expansion into mid-western states, one of their primary targets was Illinois. Their opportunity to establish a footprint in Chicago came when they were offered a JV with National’s Union Distributors. Union, had been struggling for sometime and needed help in building a stronger portfolio, which Glazer’s could do for them. Glazer’s and National became partners, but Glazer’s management ran the operation. Before the JV, Union had been losing a great deal of money, however, shortly after Glazer’s joined this partnership, Brown Forman and other major suppliers bolted to join Union. As a result, Union went from losing money to being very profitable. A JV in a state where there is no franchise for wine and spirits created a profitable company for both Union and Glazer’s. Recently the WSJ wrote an article entitled “Distillers Fighting to Overturn 1930s Wholesaler Rules.” The Journal called it “Missouri Liquor Wars” — a raging battle between the world’s largest liquor makers and a family-owned wholesaler. The “liquor war” started when Diageo decided to leave their distributor, Major Brands, and negotiated to move to Glazer’s. The court ruled against an injunction to stop Diageo from supplying product to Major Brands. In fact, the judge stated that “Glazer’s got a very sweet deal!” What is not being reported is that both Pernod Ricard and Constellation Brands terminated their relationship with Glazer’s and moved their brands out, without any compensation to Glazer’s. You may remember a recent post concerning a situation in Louisiana. Glazer’s was asking for a declaratory judgement from the state court against Paulaner USA which would enable them to sell Paulaner’s USA brands to the acquiring distributor, Southern Eagle. Paulaner USA has denied approval because Southern Eagle represents Spaten, Paulaner’s main competitor in Munich. 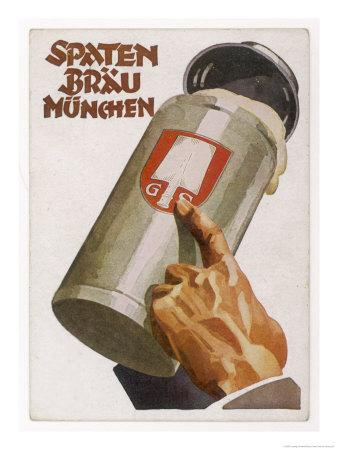 Again, what was not explained was the fact that Glazer’s gave Paulaner time to find their wholesaler-of-choice and Glazer’s would sell the brand to that preferred wholesaler of Paulaner’s. According to Glazer’s, Paulaner could not find a wholesaler that would pay the same rate as Southern Eagle. Much has been written about these two states, Louisiana and Missouri, and how their respective issues will affect vendors and wholesalers under franchise protection, and to some degree, how the courts interpret these laws. I do know that more will be written, but before articles are written or opinions given, even by the WSJ, it would be helpful to get all the facts concerning what actually happened on all sides. Ultimately it is clear, that in any case, whether there is franchise protection or not, wholesalers and vendors will continue to evaluate each other and their respective performance. The industry can expect more cases like those in Missouri and Louisiana, while domestic sales continue to slip and wholesalers, in an effort to replace volume, will aggressively go after key brands to help them grow horizontally. While crafts’ growing trends continue, their market share is still small and they cannot replace the loss of domestic volume. I’ve been to New York city twice this summer on business. The first trip I spoke to several investment people on the topic of craft beers verses domestics; the second visit, I met industry lawyers. During my conversation with the lawyers, we discussed the impact of franchise protection when a wholesaler sells their business. As I have previously written, some industry consultants attribute up to 50% of the selling price to the franchise protection. It is difficult to put a price on the franchise affect. One might argue that in states where franchise protection is either non-existent or weak, the wholesaler has a greater incentive to be motivated to perform at a higher level, compared with states with a higher level of franchise protection. Given the umbrella of protection, some wholesalers simply do not have the incentive to perform, instead relying on the knowledge that termination will almost never take place. 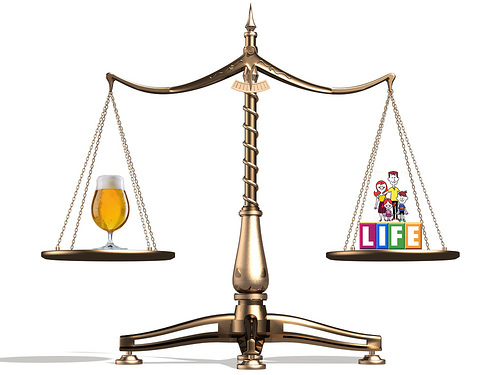 Joe Thompson’s recent article, “Carve Out” in Modern Brewery Age, addressed this issue. If a state had “carve out” laws, regardless of specifics, any wholesaler who had a brand that fell into that category would then focus their efforts on that brand to ensure the brand’s success. Joe, however, does not mention what is happening in states that have statewide distributors, because of the lack of “carve out laws.” Such states include: Florida, Texas, Illinois, and New York. Successful large crafts are requesting their own sales force, and getting it! Smaller, but fast growing crafts, are writing distributor agreements with language that waives certain provisions of their state franchise. Such distributors are not taking a chance on losing the rights for a potential winner and wholesalers are agreeing to these contracts. We have all seen the success of Yuengling in Ohio, and soon we will see the impact of New Belgium in Florida. The question becomes: will an established wholesaler pass on a potential viable vendor given the price they would have to agree to? It’s only a matter of time before more and more independent distributors (e.g., those without a major anchor vendor) appear. They will only specialize in crafts, and some with certain imports. These start-ups will agree to contracts which will have provisions that make allowances for carve outs, or putting it another way, “out clauses” for the vendor. One only has to look at the success of Chicago’s Windy City as a template for this model. Established or major distributors will have a decision to make: either agree to the vendors terms, or hope that the vendor does not succeed. Of course, there is always the option of waiting until the independent distributor builds these brands then a competing distributor comes in and buys them out. Such was the case with Reyes and Windy City, Brown with Fresh and even BEK with CR Goodman. That can be expensive. The NBWA and the state associations are faced with some key decisions regarding these carve out provisions. If wholesalers want to maintain franchise protection, then they will have to finally agree to allow some type of relief for frustrated vendors. In fact, whether wholesalers agree or not, a change in the system will be good for all. Right now vendors are improvising, adapting, and overcoming these laws. Will distributors do the same?